Single-malt scotch inspired by the Seven Kingdoms of Westeros also to be released. Thronies have lamented the Long Night-esque hiatus Game of Thrones has taken, not to return until 2019. Now, we can make the next Jon Snow-less year go a little smoother with a limited-edition whisky and scotch lineup that offers the flavors of the kingdoms. 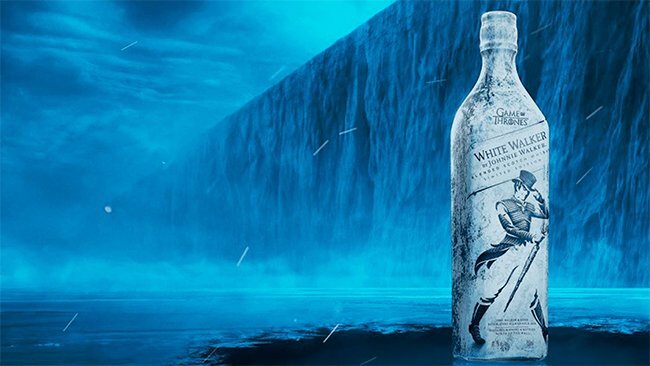 Liquor company Diageo, in partnership with HBO, has released a special Johnnie Walker Blended Scotch Whisky called The White Walker by Johnnie Walker. The rest of the collection of single-malt scotches will be on the shelves in November. This isn't the first foray into the spirits for the series. Brewery Ommegang released an official line of Game of Thrones beers, The latest, King in the North, is due Nov. 23. There have also been several wines released under the Game of Thrones label. The White Walker is a blend of two single-malt scotches from Cardu and Clynelish distilleries in Scotland. It is meant to be served cold, both for flavor and an entertaining touch. When put in the freezer, the label’s white and blue thermochromic ink will glow in a creative homage to the gleaming, ice blue eyes of white walkers. “Whiskies from Clynelish have endured long, Scottish winters, not dissimilar to the long periods endured by the Night’s Watch who have ventured north of the wall, so it was the perfect place to start when creating this unique whisky.” George Harper, blender and whisky specialist. Seven other single malts will be released, each crafted by a different Diageo-owned Scottish distiller. They are a nod to the family Houses of Westeros, and prices will range from $29.99 to $64.99. One offering, the House Targaryen scotch, is made by Cardhu Distillery with hints of clove and red apple and inspired by the spirit of Daenerys Targaryen. Other single malts in the collection include the House Lannister, a 9-year-aged scotch from Lagavulin, as well as the House Stark Winter's Frost scotch from Dalwhinnie. “We’re confident fans will enjoy sipping this delicious whisky as they wait for season eight and beyond,” HBO Vice President of Licensing and Retail Jeff Peters said.